New Delhi [India], May 18 (ANI): Union Environment Minister Anil Madhav Dave passed away on Thursday at the age of 60. Lucknow (Uttar Pradesh) [India], Apr.12 (ANI): Former union minister and Congress leader Akhilesh Das Gupta breathed his last here on Wednesday following a heart attack. He was 56 years old. New Delhi [India], Apr. 10 (ANI): Former union minister Ashwani Kumar on Monday condemned Pakistan for awarding death sentence to alleged Indian spy Kulbhushan Jadhav and urged the Centre to raise the issue with Islamabad. Salem (Tamil Nadu) [India], Mar. 16 (ANI): A slipper was hurled towards Union Minister Pon Radhakrishnan on Thursday when he arrived for last rites of Jawaharlal Nehru University (JNU) PhD student Muthukrishnan Jeevanantham here. Bengaluru (Karnataka)[India], Mar. 12(ANI): With the Bharatiya Janata Party(BJP) storming back to power in Uttar Pradesh and Uttarakhand securing landslide wins, Union Parliamentary Affairs Minister Ananth Kumar gave full credit for the victory to Prime Minister Narendra Modi. New Delhi [India], Mar. 4 (ANI): Following Prime Minister Narendra Modi's road show in Varanasi, Union Minister Upendra Kushwaha on Saturday asserted that the former did not do the right thing by taking out a road show. New Delhi [India], Feb. 27 (ANI): The Supreme Court will on Monday hear the plea filed by Union Minister Rajyavardhan Rathore against Parasvnath developers in connection with the builders apathetic attitude for not providing the basic amenities while providing him the flat. 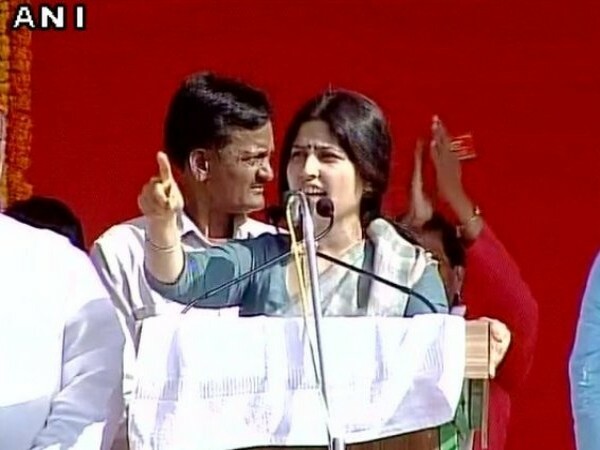 Jaunpur (Uttar Pradesh) [India], Feb. 26 (ANI): Uttar Pradesh Chief Minister Akhilesh Yadava's wife Dimple Yadav on Sunday accused the Union Ministers of spitting communal venom, while appealing the people to ensure the Samajwadi Party's win in the assembly polls. New Delhi [India], Feb. 23 (ANI): Minister of State for External Affairs M. J. Akbar will pay an official visit to Tunisia from February 26 to 28. New Delhi [India], Feb. 23 (ANI): A two- day annual fest "POLITIA" was organised by political science department of Shyama Prasad Mukherjee college for Women, University of Delhi, on February 20 and 21.